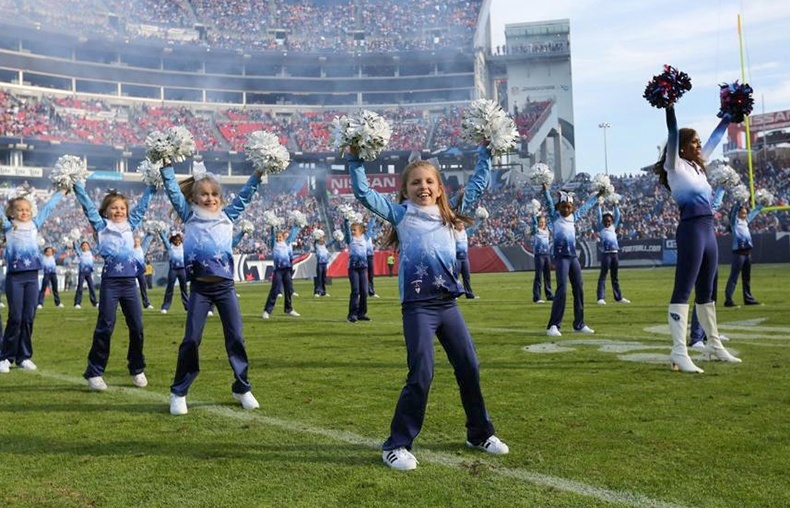 The Titan's Cheerleaders wanted a winter theme for their Junior Cheerleaders' new uniforms this year! The end result? Frozen, of course! 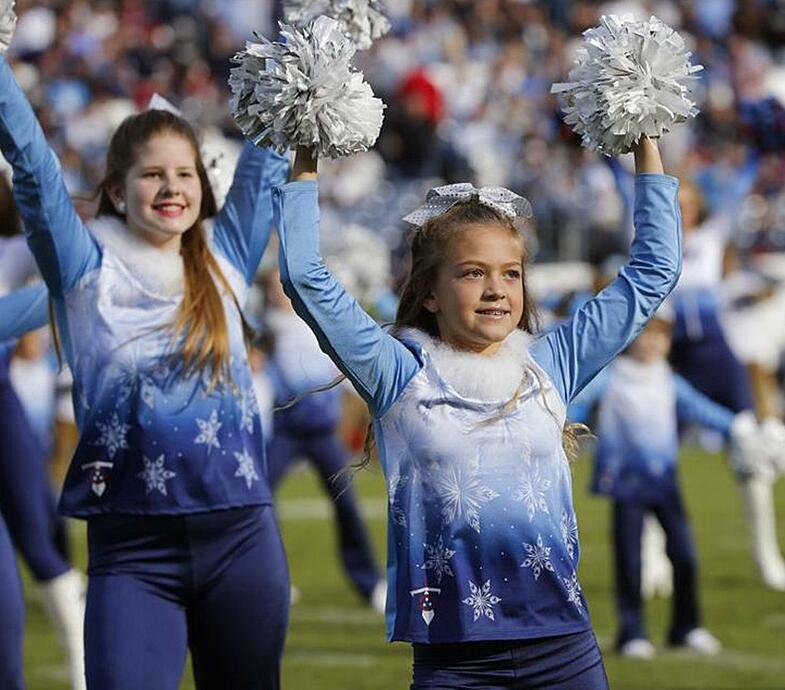 It not only tied in with a winter theme, but also matched the traditional Titans team colors of blue and white. "To keep costs down, we sublimated the front of the top with a snowflake pattern," designer Michelle said. "This allowed us to make their logo bigger, and gave the Juniors their own unique look!" 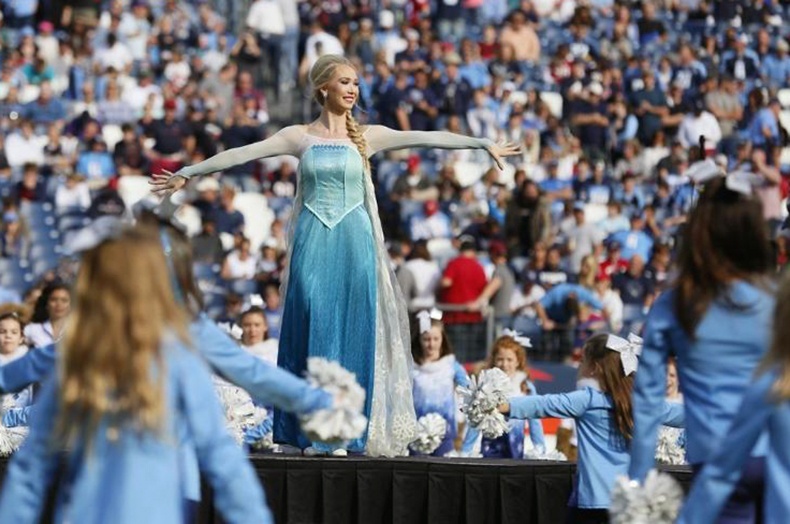 Working off a photo of Elsa from Frozen provided by Titans Cheer Director Stacie Kinder, Michelle and Lindsey were able to recreate a perfect Frozen look for the Juniors to coordinate with Titans Cheerleaders' cold weather jackets. 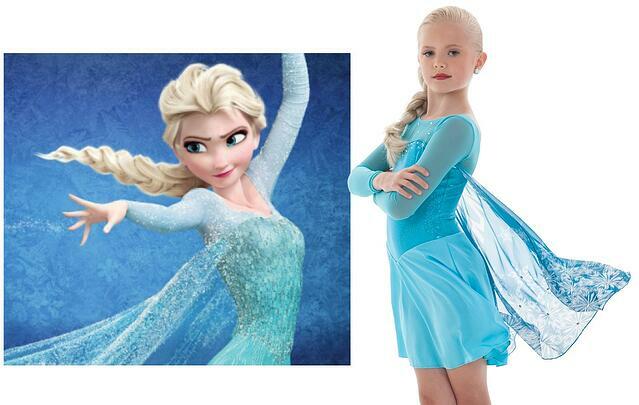 Photo of Elsa from Frozen provided by Stacie Kinder and our online style, Elsa, inspired the Junior Cheer look! 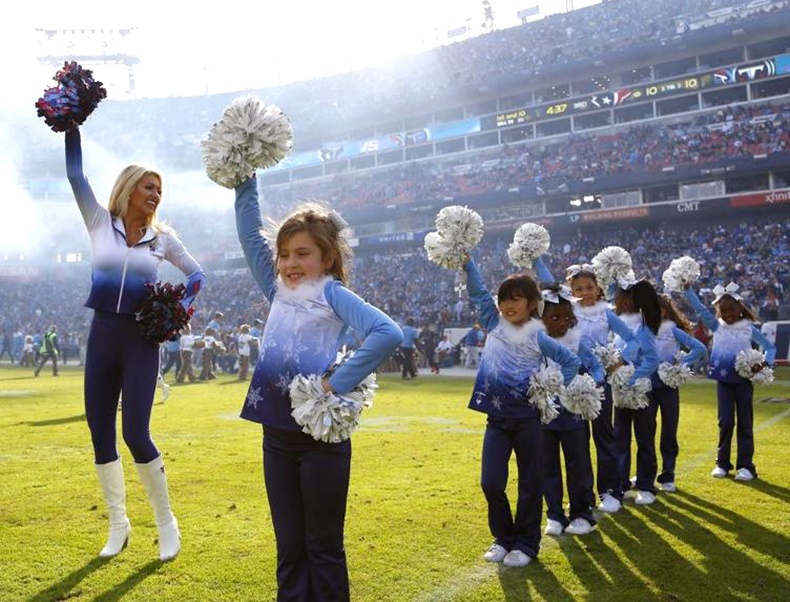 Check out more photos of the Titans Cheerleaders and their Juniors below!